In Part 3, I shared proof of the powerful and positive effects of storytelling, through the story of Cuban cigars and their high quality – thanks to la lectura. I am also happy to report that the 12th grade English teacher from my “Ravioli” post has found ‘lights out’ to be successful in his classroom reading aloud. Currently he is reading Slaughterhouse-Five by Kurt Vonnegut to his students. From preschool to high school, we are both doing the same thing, and it works. I will include difficult vocabulary words. I will stop and ask questions, maybe make the sound of an animal or give clues for them to guess. As children come and go in the bathroom, I’ll include them into the story. I play I Spy. I play The Animal Game, where I give clues to an animal and they guess what it is. Then, I make up a quick rhyme about the animal. I then ask children to add to the rhyme. Often they come up with excellent words, ones I never thought of. The whole process is open ended. So is storytelling. So, what is really happening here in the bathroom? Much like chapter reading, children have to carefully listen and think. They are getting a huge dose of vocabulary words in an intimate setting. And, much like lunchtime at school, we are sharing conversations and stories. It’s more than the number of words a child hears; it’s humor, emotion, learning where you are with your peers – a friend, listening and learning. It’s really a long list. This is how important it is: A study was done to determine if there was a common denominator among the National Merit Scholars. Were they all class presidents? Captains of their sport teams? President of the Drama Club or Literary Magazine? Were they all volunteers in their community? Surely there had to be one thing that they all shared in common. Every National Merit Scholar had dinner with their family at least four times a week. Sounds simple? Not at all! At the dinner table they developed language skills, thinking and reasoning, empathy, humor, patience, compassion… the list is a long one and a good one. These are life skills, the foundation for learning. I know the difference this makes with the children I teach. What do I tell parents? Have dinner together, talk, listen, tell stories. It makes all the difference in the world. Stay tuned for the conclusion, Part 5, and the story of a teacher who made a big difference. This entry was posted in books, chapter reading, Early Education, Expressing words and feelings, Imagination, Inspiration, preschool, reading aloud, reading aloud, storytelling, Teaching young children, wonder and tagged chapter reading, Early Education, language and literacy, language development, National Merit Scholars, reading aloud, storytelling, teaching young children. Bookmark the permalink. Sounds like a great method. Well done, Jennie. Jennie, you are a brilliant teacher! You are far too kind, Charles. 😊 Thank you. If every preschool teacher felt passionate about literacy and did simple, fun things like tell stories, all children would be ready for you and reading Shakespeare. It’s true! 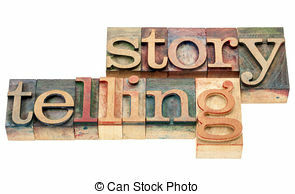 Here is part 4 in Jennie’s excellent series Language, Literacy, and Storytelling! This is gorgeous, Jennie. I used to tell stories with my own children when they were using the bathroom, but not at school. The bathrooms were not attached to the classrooms where I taught. But what a wonderful opportunity. You could say you have a captive audience, for a little while at least. I agree with you about the need for language – for discussion with adults – and dinner time is a great time, if only children and adults alike could turn off those screens for a little while. Well said, Norah. Screens off and just talk together. The bathroom is across the hall. There is a long bench for children to wait, and I just sit right down and join in. Makes all the difference. And the need for language is HUGE, as you know. I’m so glad you enjoyed this. Thank you. Screens off and talk. I think sadly many future children won’t know what quality talk time is. It only takes a little effort to make a big difference. An hour of talking and connecting every day is powerful. I need to use the words from the Nike commercial to parents: Just Do It! I love the idea of your made up stories. 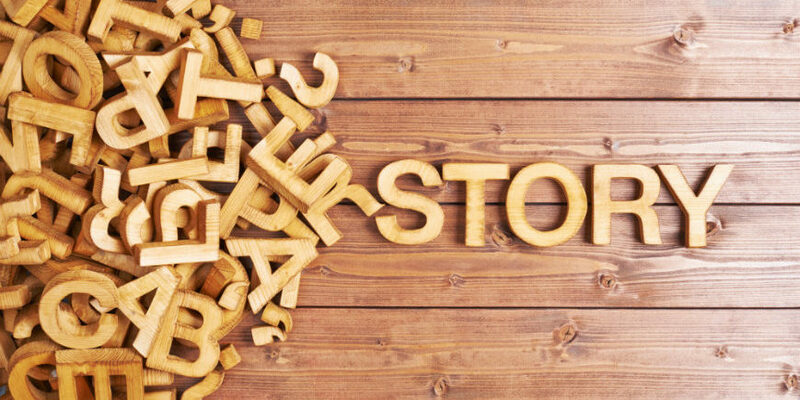 Being included in a story adds that crucial personal connection. It definitely adds that connection, and it is very crucial. Building language is the single most important thing I can do, and storytelling or reading does it. Thank you, Pete. Best to you. You can create the basis for stories anywhere . You just need to start talking. The power of stories! The power of gathering together and sharing. Yeah on Friday I did a craft with the kids and let them create what they wanted. The point is it’s amazing what happens when you discuss and draw upon life experiences and learn together as opposed to lecturing and doing boring busy work. Where as when she stays on her sleep over nights with us, we always have dinner and pudding… You can tell she so enjoys the conversation and never stops speaking between mouthfuls of her day at school or what she has been up to with school friends.. I also spend time doing crafts, painting etc, and again its encouragement time to especially when we play Barbie dolls.. 🙂 And she weaves her stories..
What you are doing with your young students Jennie is WONDERFUL.. I so wish that there were more teachers like yourself who can see the value in allowing children freedom of expression.. Thank you for that validation Jennie.. We take her to school certain days and bring her home, and she often reads or writes in the back of the car.. We always arrive early so she writes, Last week she wrote a poem, it was so good… I asked her to copy it out on good paper as she only scribbled it down.. I told her that it was that good I thought she should take it to school for her ‘Show and Tell’ day.. She did,, Her teacher was so impressed, he asked her to read it to the class, then the headmaster got to hear about it and This Friday, the last day for half term she is reading her poem to the whole school in assembly.. I so agree, at the dinner table, we develop language skills, thinking and reasoning, empathy, humour, patience, compassion and other life skills. My parents were farmers and worked very hard. But we always ate our meals together and discussed the day and shared stories. We were lucky as we didn’t have a TV until I was 11. And we were never allowed to eat in front of the television. Neither were my children. I love that you tell stories waiting for the bathroom!! It really matters – we always used to sit down with the children and now, again, we all sit down together when the grandchildren come to stay. And the issue of including them while they are in the bathroom is an incredibly good idea! Beautiful post, Jennie. The headmistress at the Nursery School both my sons attended is like you. Everything is a wonderful learning opportunity and she loves her children and it shows. Dr. French and Sue are exactly correct about how you teach. You are amazing in how you teach. Storytelling is great – adding to the story is magic. Beautiful words, Dan. Thank you. We have tried with the gadgets at dinner. We have told them many times not to bring them to the dinner table, we have an ongoing struggle. Maybe this one could be black and white, no negotiating. I know, it sounds harsh, but they probably have plenty of other time for gadgets. We do try, we have many arguments over gadgets at the dinner table. Yes they do have plenty of time for gadgets… I would love to take them away completely but I think I would then have a war in this house. Maybe there needs to be war before peace. Ha ha, yes you could be right. I hope someone writes a whole book about you and the children you have taught! I will be one of the first to buy it.